Thank you so much Emily for letting me write up a guest review! It was a lot of fun, and I'm glad I was able to contribute to one of my favorite blogs! Here's the packaging (Note: this photo is from the stock page; I opened my package at night when the lighting was unfortunately too dark to take photos). Looks nice and everything, right? It took me at least a good ten minutes just to cut all of the tabs and slide the piece of cardboard that holds all of the accessories out of the box. On the back of the cardboard, several twisted wires, tape, and little plastic pieces had to be cut or ripped open. The box does have a fun design though, even if it could have been probably half the size. This is all of the waste once I took out the actual set pieces. 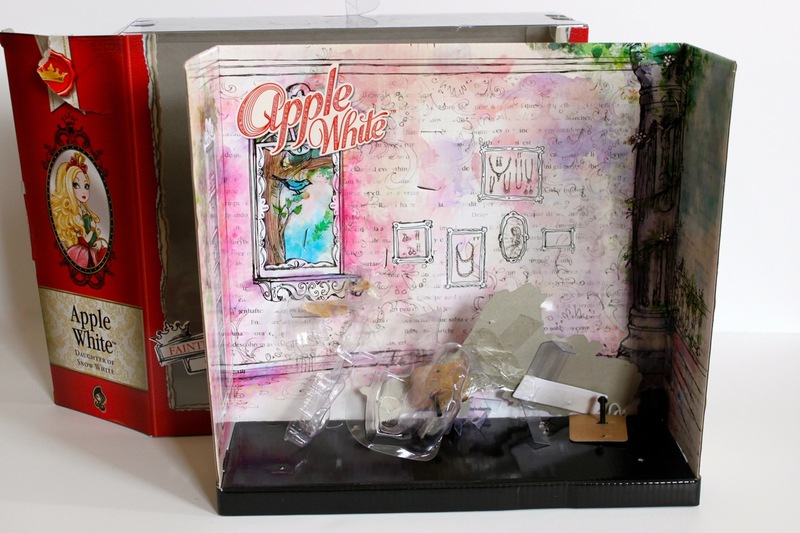 There is one red box with character art of Apple on the side and a separate cardboard background that is decorated to look both like a storybook and Apple's dorm room. 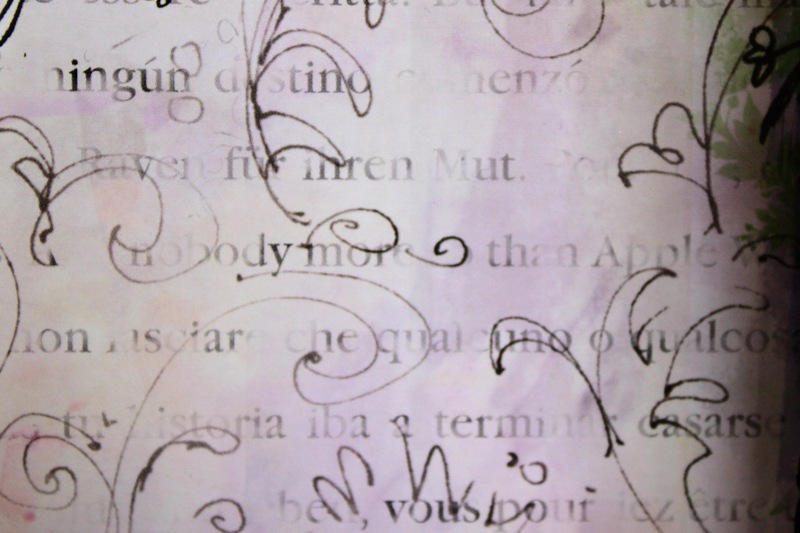 I love trying to figure out some of the words or phrases printed on the backgrounds that come with all of the Ever After High boxes. I was able to find a few like "Raven" and "nobody more than Apple...," but the sentence is never finished. It sort of ended up driving me crazy. Nobody more than Apple, what? Nobody more than Apple likes apples? Nobody more than Apple reads books? Nobody more than Apple rides horses? 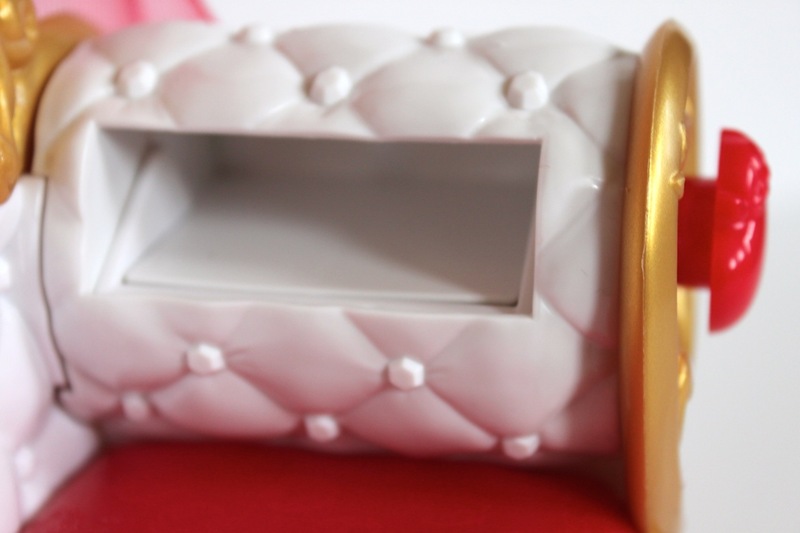 Anyways, the back of the red box has a photo of Apple sitting on her couch in the dorm with all of the accessories, decorated with a few captions like "The perfect place to hide/store my glasses" and "The spellbinding centerpiece of my dorm." I don't really know why Apple has to hide her glasses since I personally think she looks adorable with them, but the bonus storage space she uses to "hide" them is welcome! It also shows that there is a clear drawer on the bottom of the couch, for "my stuff and hers," although I don't exactly know what I would put in there. Anyhoo, this is everything the set comes with. 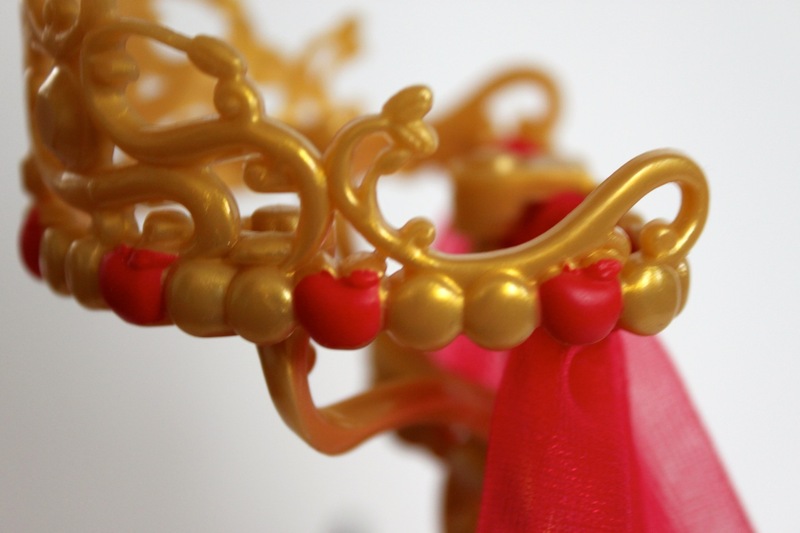 My first thoughts were that there is a lot of red and gold and a lot of plastic, but it is overall still pretty cute. 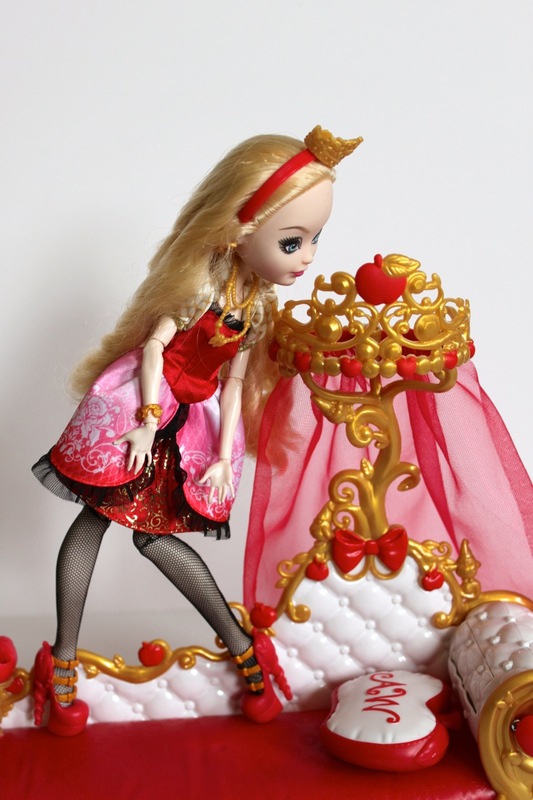 It has the same apple-theme as the Apple doll, but this has a few added details like dwarves and more bows, along with slight color changes. 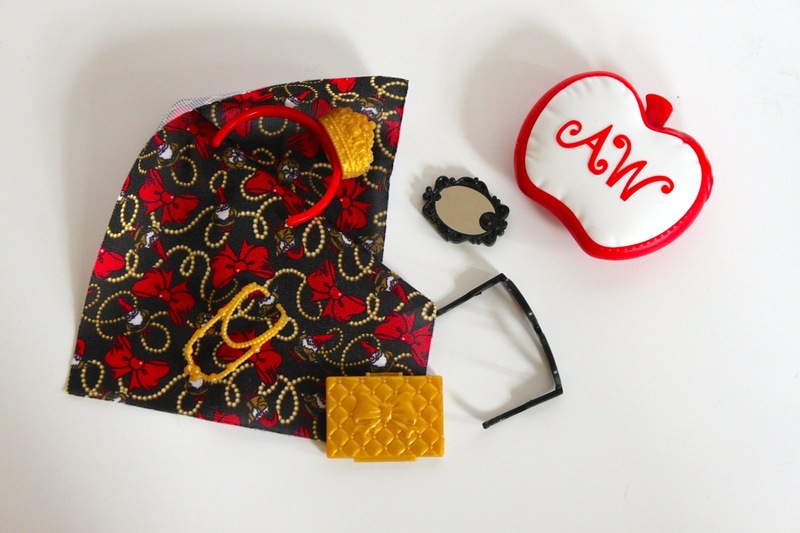 I'll start off with the accessories: a throw blanket, plastic pillow, crown, necklace, black glasses (with no lenses), computer, and "mirror phone," which looks much more like a hand mirror. The blanket is just a piece of patterned fabric that was cut into a rectangle. 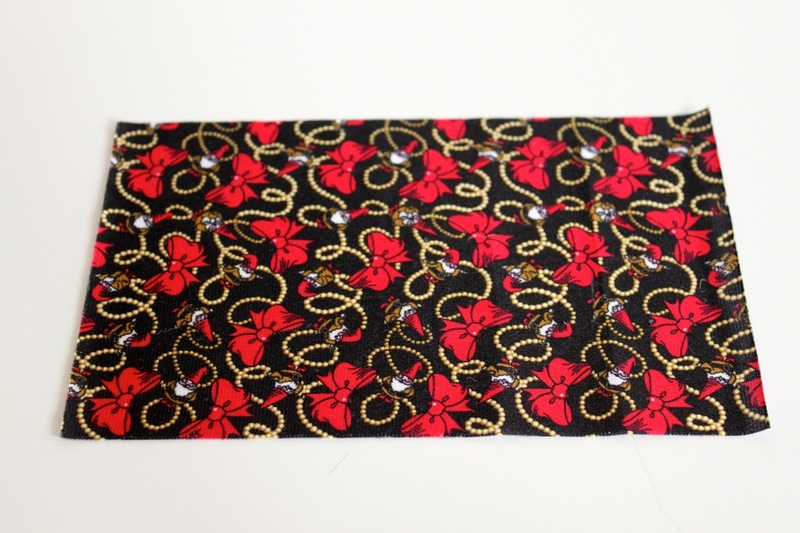 It isn't hemmed or finished, so the edges seem like they may fray easily. 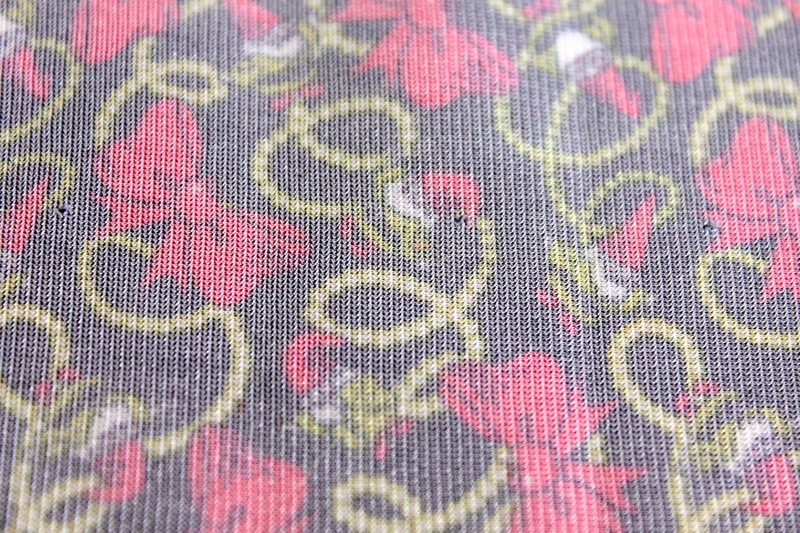 Only one side has a pattern on it, made up of bright red bows with apples in the middle, golden pearls, and a bunch of little dwarves (there are much more than seven though!). Most of the tiny details were printed neatly, but there are a few wonky dwarves where the red cheeks are a bit too big for the tiny faces. Because the blanket was packaged sort of weirdly, there's a creased fold and holes from the tiny plastic ties. These are much more visible on the cream-colored side, so they shouldn't be a big problem if the patterned side is the one that is usually showing. Since the blanket is a little small and thin, it can be hard for the doll to look comfortable when posing with it. Above is my Apple's/Piper's attempt at it, although it looks more like a shawl than a blanket. Maybe a shlanket? Or blawl? 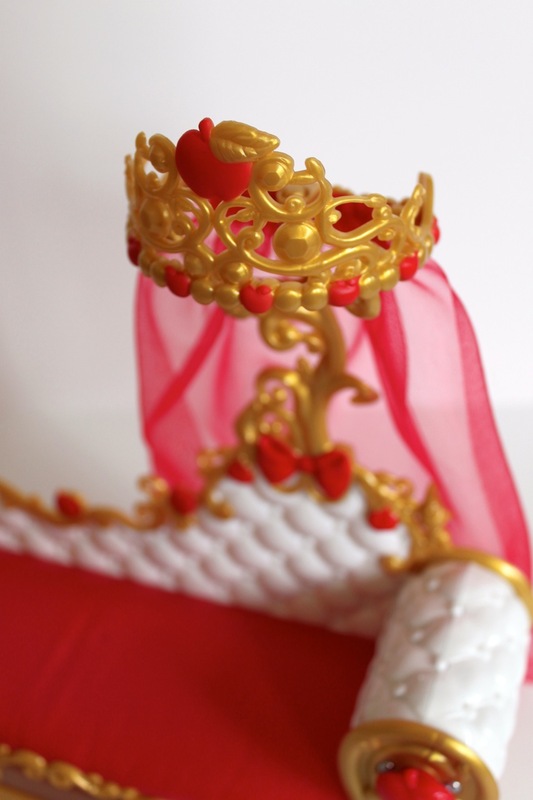 The set also comes with a necklace and a crown. I don't like them as much as the ones that come with the Apple doll, but they are still cute. 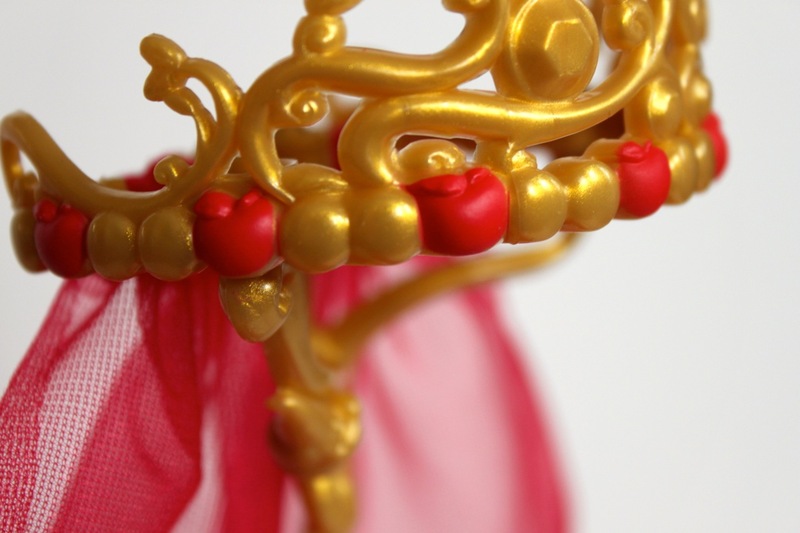 The crown sits on the red headband weirdly, so it looks like it's floating from some angles. 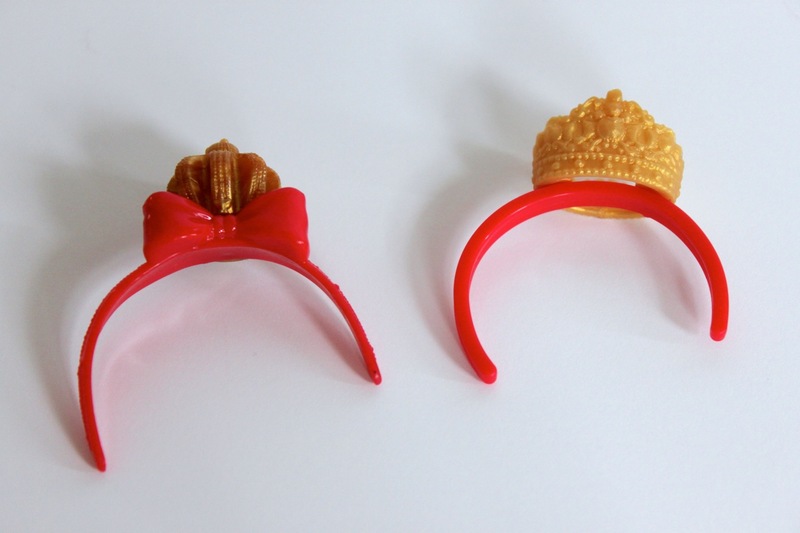 However, it stays on much better than the original crown; this might be because the new one doesn't have a detailed headband like the older one. Here's the two crowns for comparison. I also like the dangling style of the necklace because it adds a bit more detail to the red top. 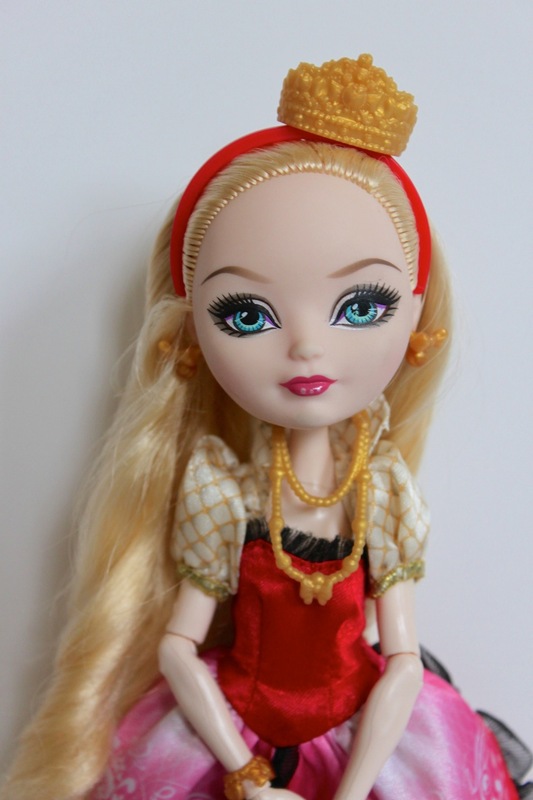 Unfortunately, it is a slight shade lighter than the accessories from the Apple doll set. If you try to mix and match them, something feels a bit off. Here's the necklace next to one of Apple's earrings, so you can see the difference. 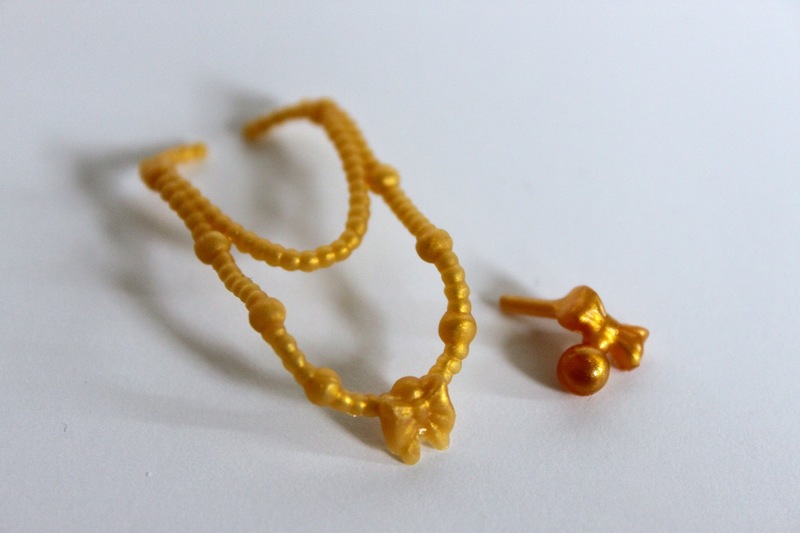 The earring is darker and shinier, while the necklace is a lighter gold-yellow. My favorite accessory from the Fainting Couch set is probably the over-sized black glasses. 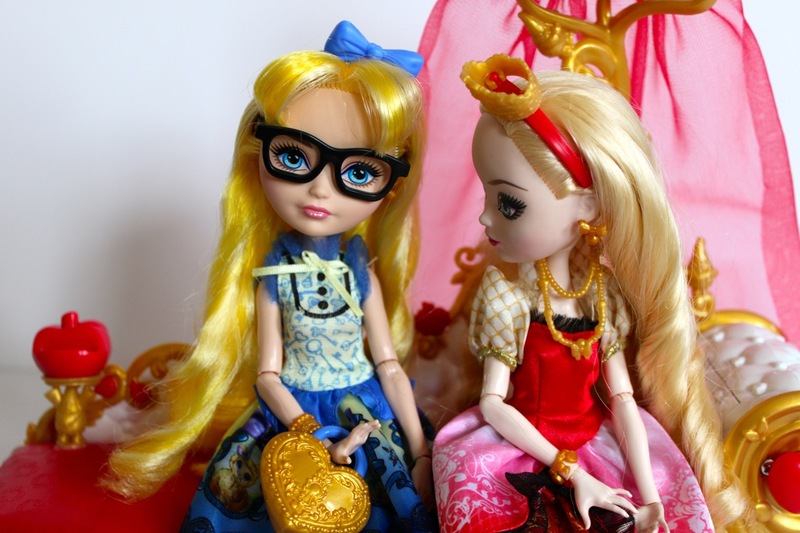 I think they look really good with Apple/Piper's turquoise-blue eyes, but I really wish they had little fake lenses. My least favorite accessory is the (plastic!) pillow. 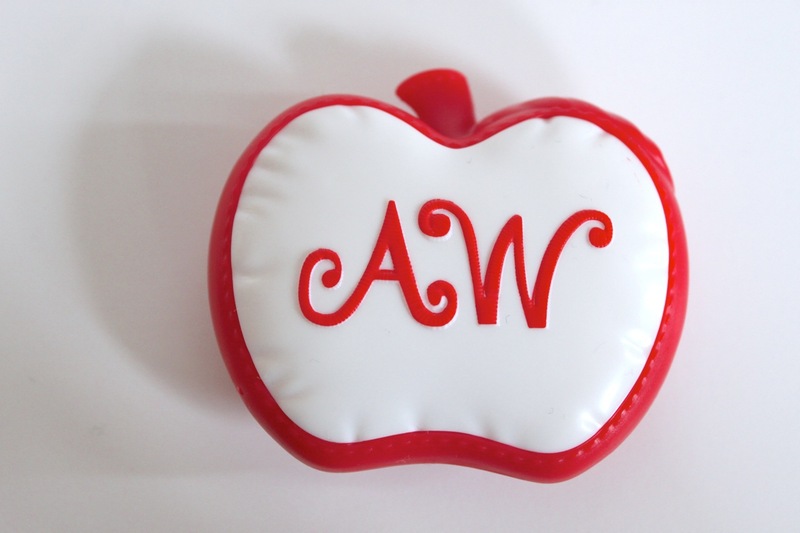 It's shaped like an apple with tiny stitching details, along with a swirly "stitched" monogram of Apple's initials. I really do wish the pillow could have been made of fabric, or even just a lighter material, since the pillow has some weight to it. The plastic is also really slippery, and the doll's head falls off a lot. So most of the time, you get this. The set also comes with a "mirror phone," which is apparently the EAH version of a cellphone. 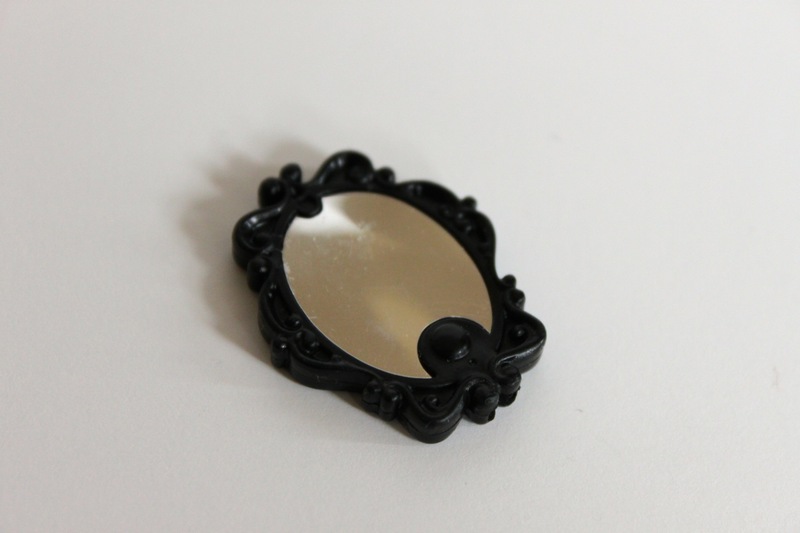 It looks much more like a tiny hand mirror (it can't reflect really well either). The doll can't really hold it well too. 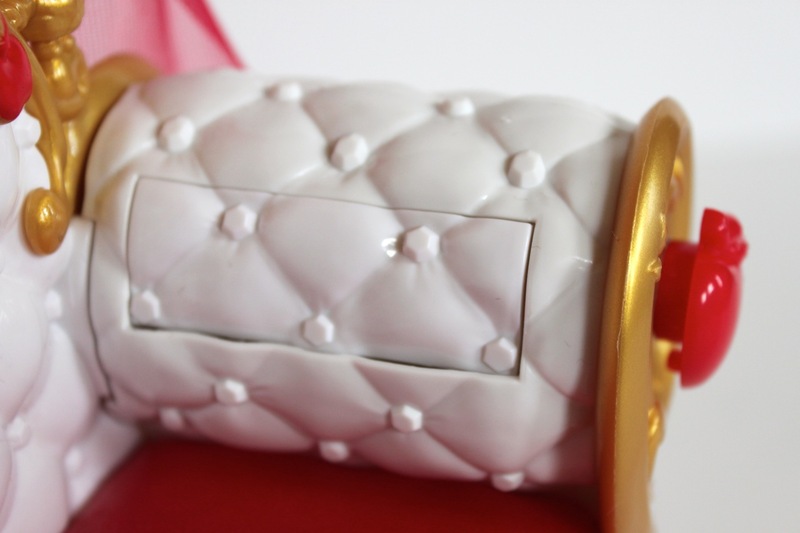 It does have some nice overall detail, and it could be a cute accessory for playing and posing. 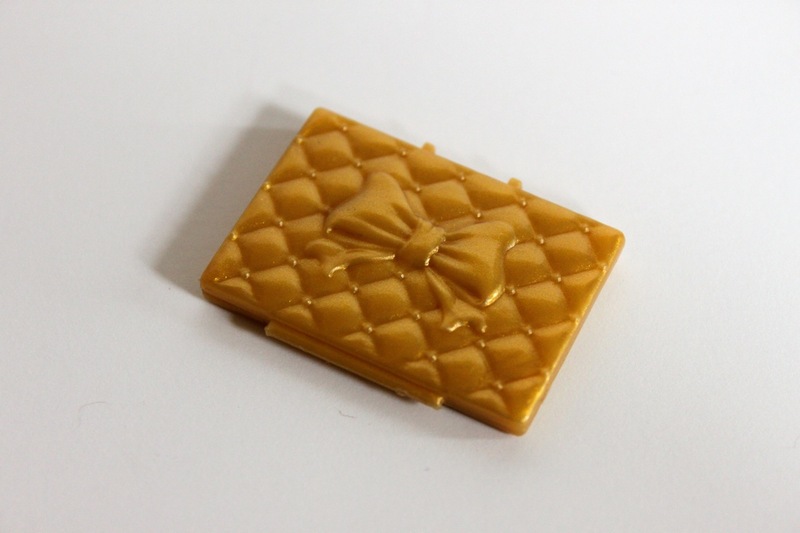 Last of the accessories is the tiny golden computer, and it can open and close easily. The outside is decorated with a large bow and fake tufting (which I don't think is possible on an actual computer), but the good news is that it can double as a fashionable clutch! 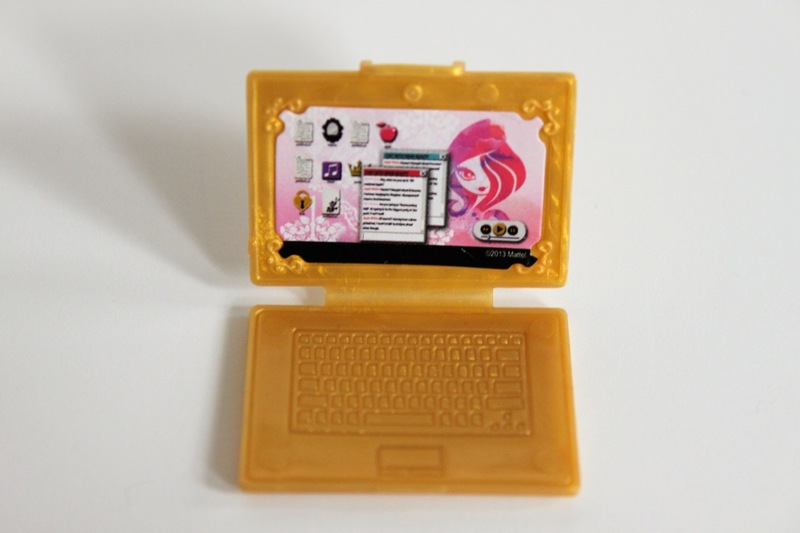 The computer opens to reveal a pink screen with the EAH logo decorating the desktop. The screen is actually just a sticker, and mine wasn't placed correctly, so it covers only some of the molded detail. The top half of the computer weighs more than the bottom half, so at times it wants to topple over, but the doll can hold it well. Here's the fainting couch itself! 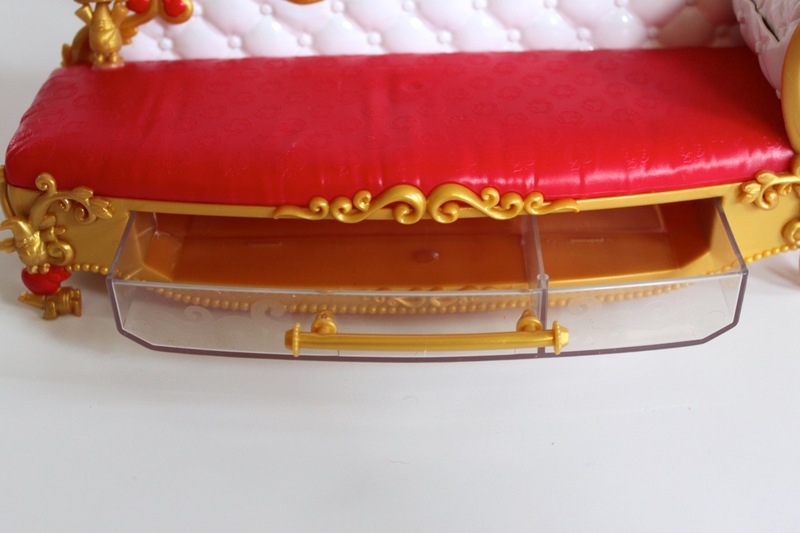 It is made mostly of plastic, with the exception of the red curtain that hangs off the canopy, and it has the same tufting style as the back of the computer. 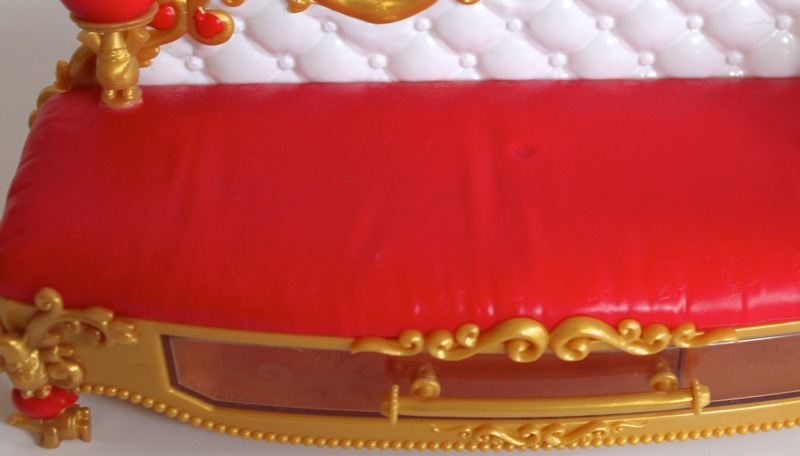 There are a lot of molded details (bows, dwarves, apples, swirls, etc. ), but because of the small color palette, it's not too busy. I do think the white top half of the couch looks kind of out of place. Maybe if they added white to the canopy it wouldn't seem so uncoordinated? This is the bottom half of the couch, and if you look closely, you can see the molded details. 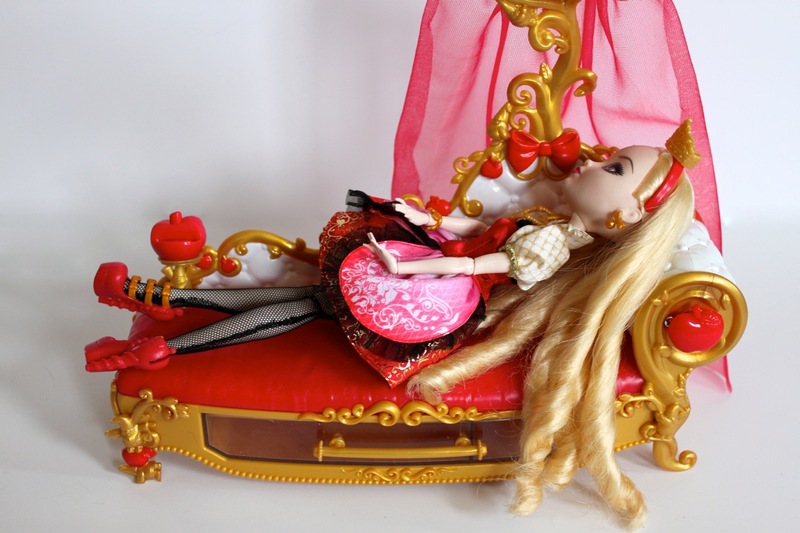 A doll can sit on the couch easily without falling, but the legs stick out a bit. Piper looks much more comfortable if you move the legs to the side. Or lie down. If only the set came with a tiny sleeping mask; now that would would be fun! Up to four dolls can fit on the couch without falling, but I'm not so sure that Piper enjoys having to share! I spent some time investigating the clear drawer. 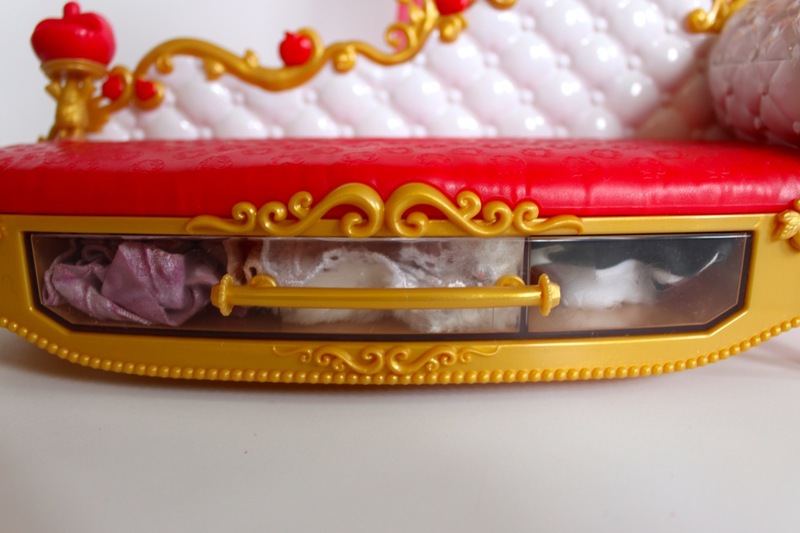 It's a helpful spot if your doll has a lot of clothes and nowhere to store them, but it can't slide out fully, so some bigger items could get stuck inside. It's also divided into two sections, the bigger one taking up about 2/3 of the space. I was able to fit three of my EAH outfits in the drawer. However, my dresses are from an Etsy shop and are winter-themed, so some of the materials are heavier than what the dolls originally come in. You could probably fit around four or five of the dresses in there or the accessories. Since the drawer is clear, you can see everything inside. The other storage space in the couch is the "secret" (even though it is easily visible from the side) spot Apple uses to hide her glasses. To open it, you turn the apple knob to the left, doing the reverse to close it. It can also fit some of the other accessories, like the necklace, computer, and mirror phone. 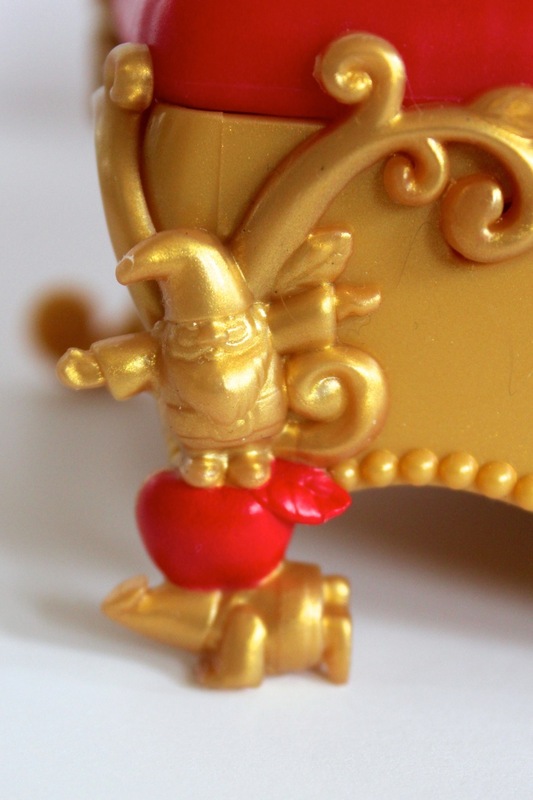 A phone "charger" is molded to the foot of the bed, and is a gold dwarf holding up a bright red apple. The bottom of the mirror phone has a little clip that attaches to the apple so it can charge, "after all those hexts," according to the box. I find it a little weird that Apple's phone charger is connected to her couch. Wouldn't it be really bad if she accidentally kicked the charger, and her phone fell to the floor? 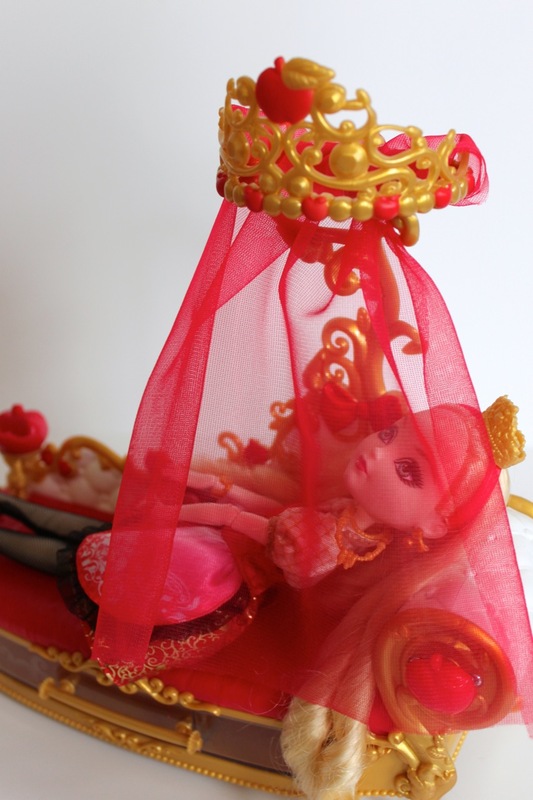 The couch has a tall gold and red painted canopy that is shaped like a crown with a red tulle curtain attached. 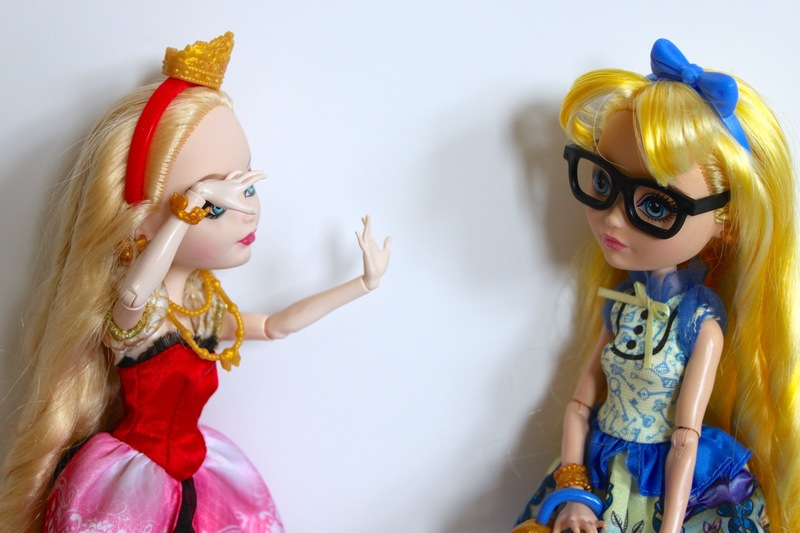 You can pull the red curtain through the top of the crown to make a little privacy wall for the doll, but I think Piper is still skeptical. Here's the back on the couch. It's mostly white, and the tufting style isn't continued through the bottom. There is a row of tiny little white pearls at the edge, and I do like the little added detail. There are plenty of little dwarves throughout the couch. Since they're painted gold without a bunch of tiny details, they blend in well and don't look too over the top. A few of them are near the area where the doll would rest their head (which I would find a little bit creepy in real life), but hey, they're still cute! 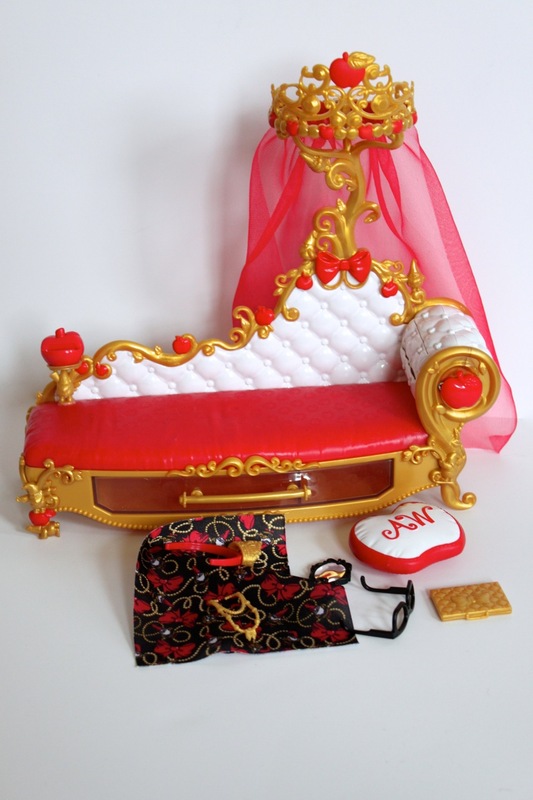 Anyways, here's the couch with all of the accessories. I like them all much more when they're altogether, even if the pillow has a tendency to fall down a lot. 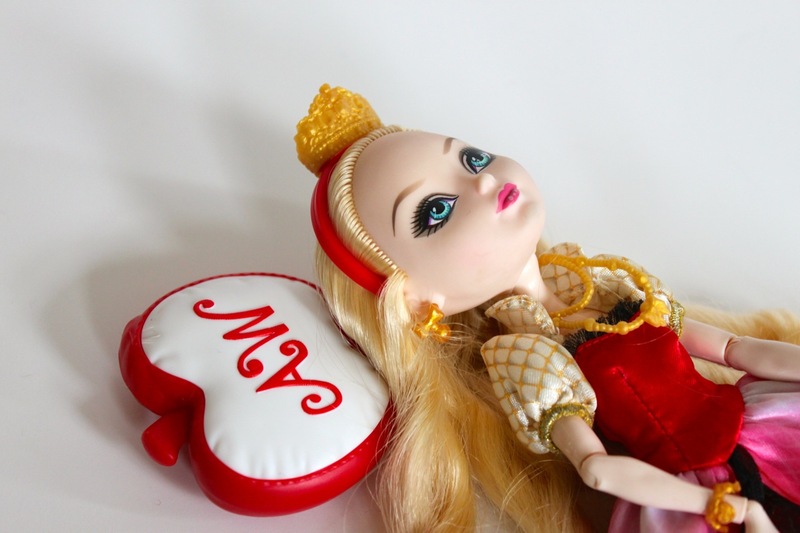 The doll can't sit very well with the pillow since it slips so much, and most of the time she falls down. Here's my best attempt at recreating the photo on the back of the red box. To finish off my review, the rest of my EAH girls wanted to join in on the fun! Overall? 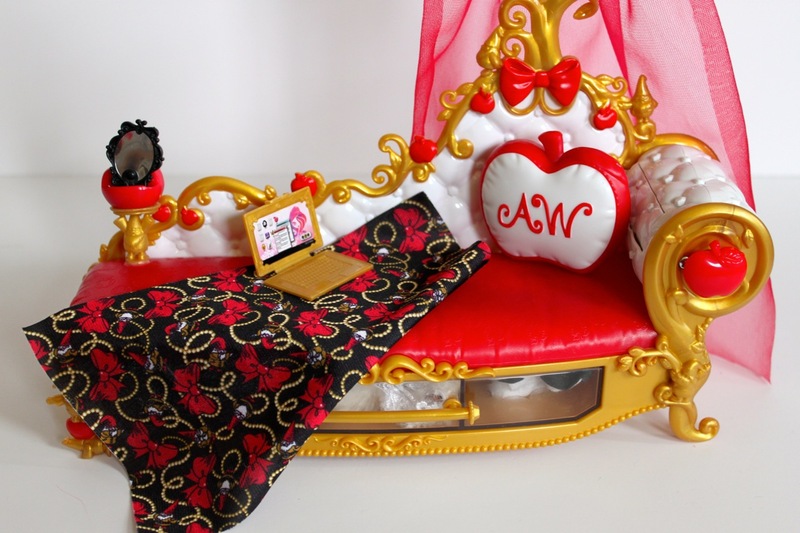 The fainting couch is a great toy for any EAH lover! 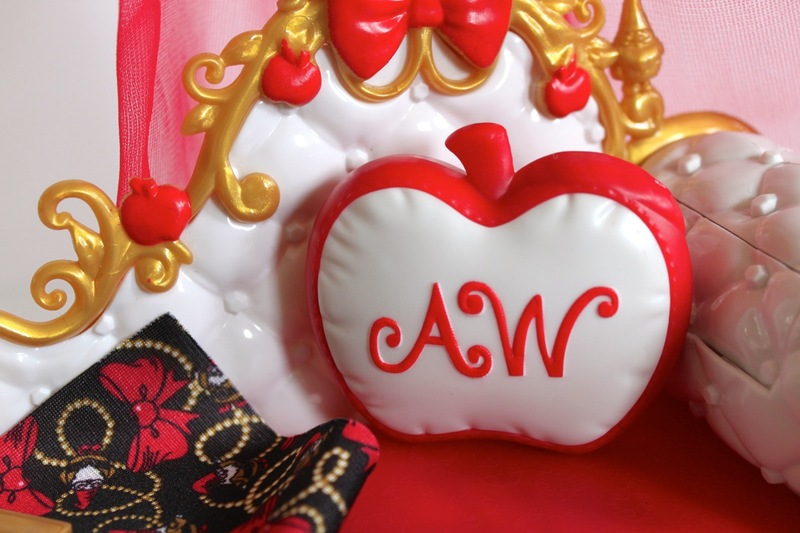 Since it's so Apple and Snow White themed, it's not very versatile, but it's perfect for dorm room or sleep over play, plus it's oh-so cute and fun to photograph :) Many of the accessories are flimsy and not very thought out; however, some do add to the set. 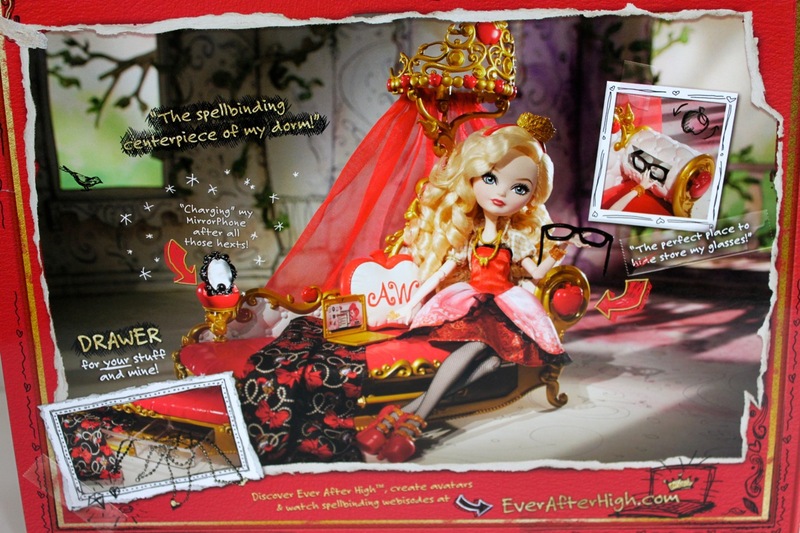 Plus, I love having glasses for my Ever After High girls! I also like the design of the couch with it's swirls, fake tufting, and hidden dwarves, which I totally believe the Apple character would have on her couch. 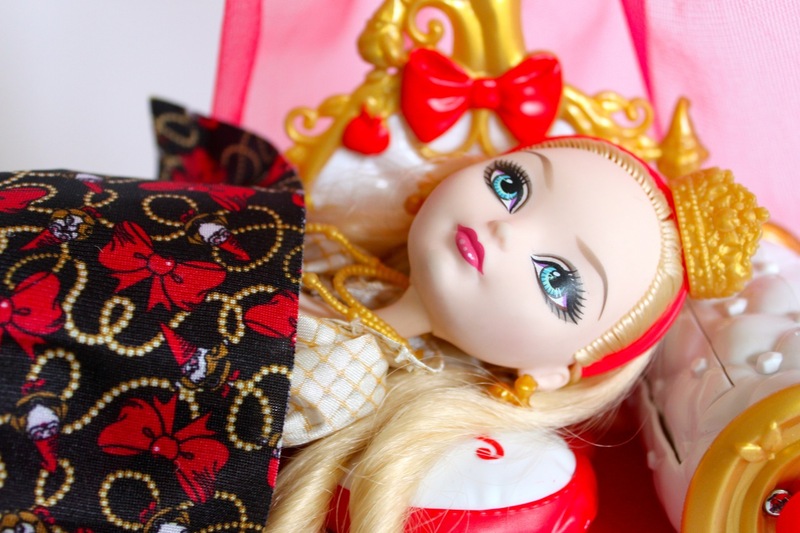 My biggest complaints about this set are the over-sized packaging and plastic pillow, but otherwise this was another wonderful Ever After High toy! It's fun seeing these kinds of accessories - I never buy them myself because I don't really have the space or money for them, but I would love to play with them and see them in detail like this! 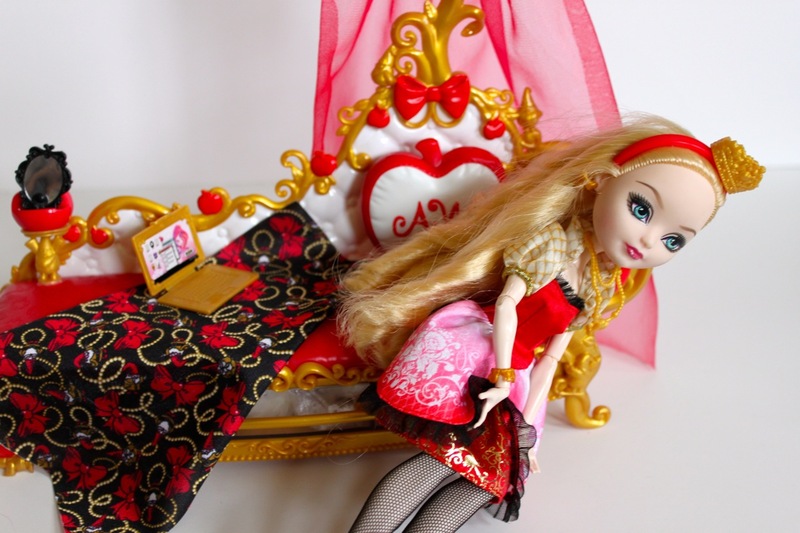 Living vicariously though doll blogs! That's Beautiful! I really hope they make EAH stuff available where I live one day. You don't have to worry about the blanket fraying. It's a knit fabric, that means it can ladder but not fray. Only woven fabrics fray. What a wonderful review and gorgeous photos Lulu!! 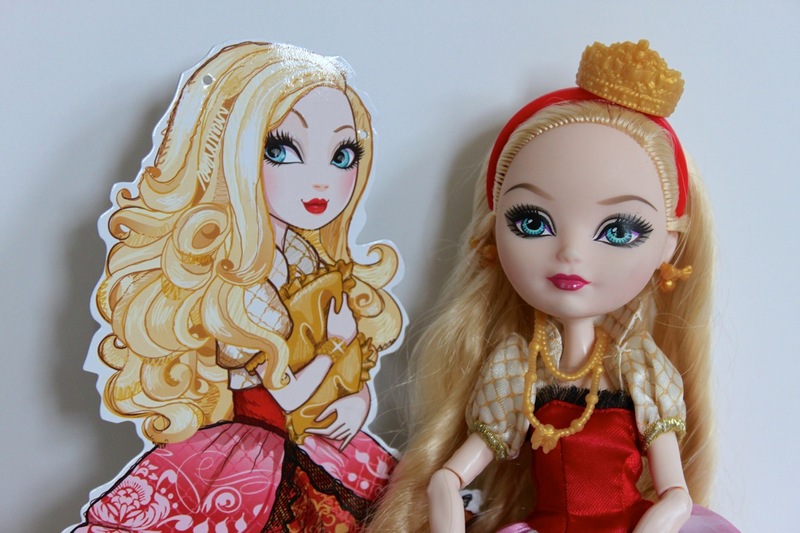 My daughter has quite a few EAH dolls and their accessories, too. Her EAH dolls have one floor of her doll house and the MH dolls have the other floor. PS - Doll Mag is definitely one of my favorite reads, too. 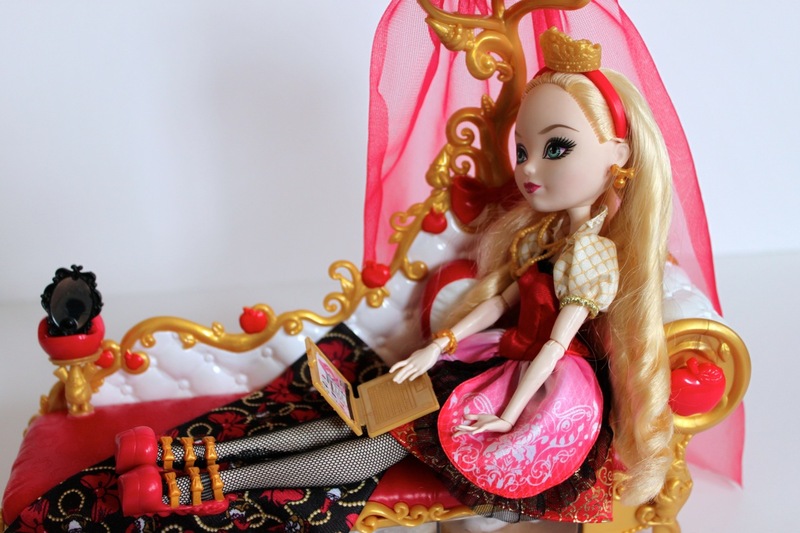 I love Apple, and this fainting couch is so cute! I've been thinking about getting it, but I'd much rather make my own stuff. 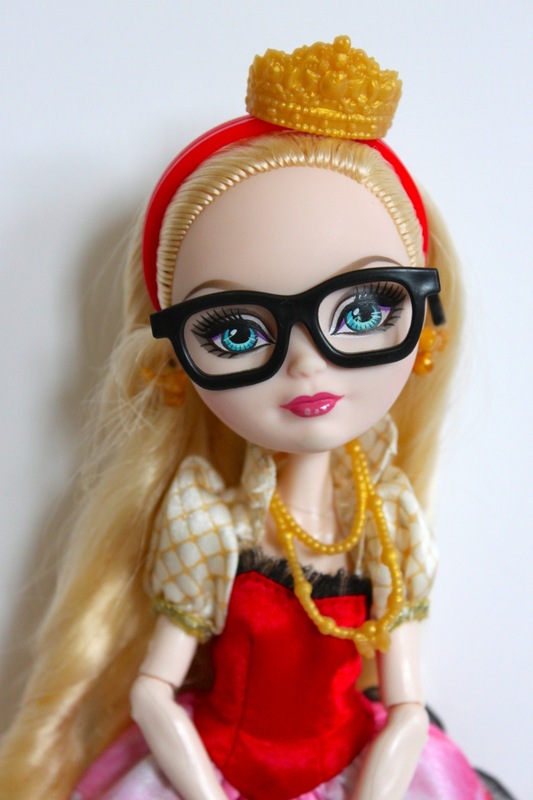 Although I will need to find Apple some glasses…the poor girl can barely see! The couch is awfully cute, but why are Apple's and Blondie's hands on the wrong sides? Great review. 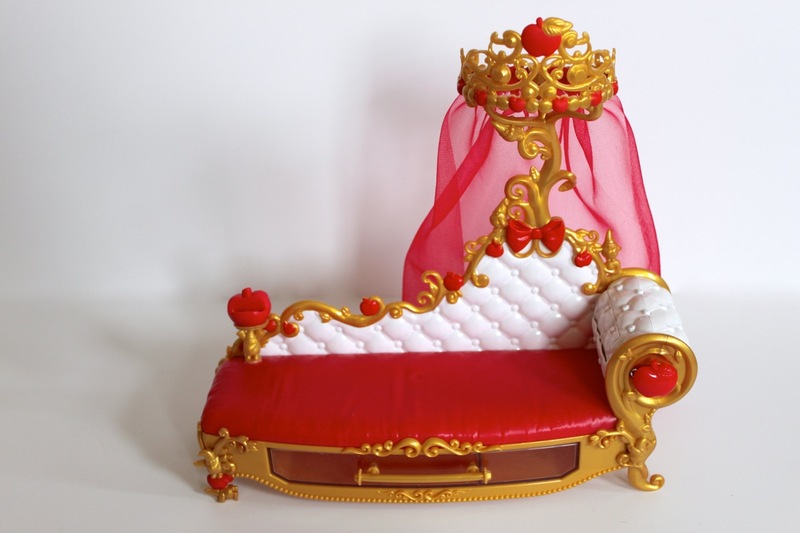 I made a similar couch for Briar Beauty because she's a royal who lounges all day and can't be bothered with, you know, work. Somehow that couch is much larger than I expected it to be - and much more detailed. Thanks for the thorough review! 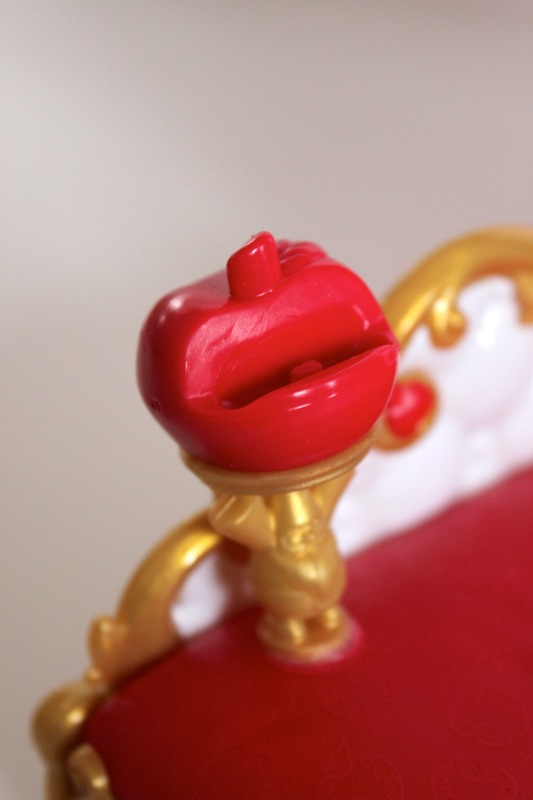 I do think all the details Mattel put into that couch are great, even if it has some flaws overall. 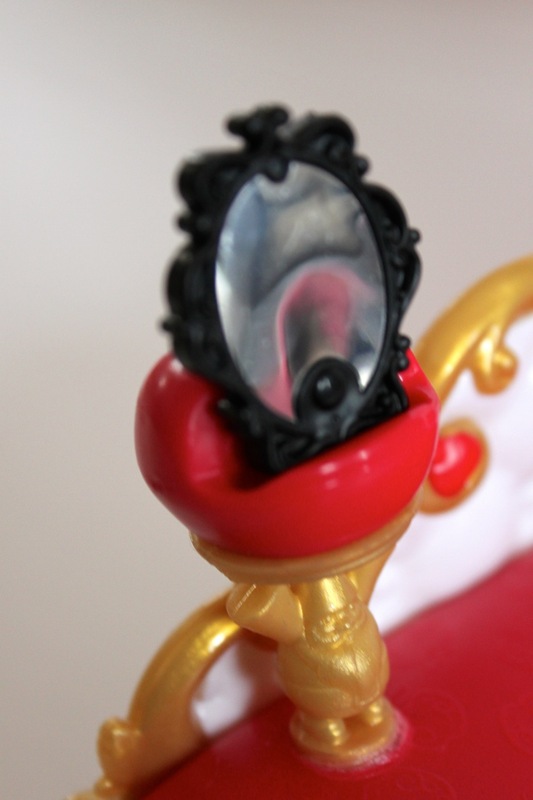 Maybe her cell phone/magic mirror actually has somebody talking inside, like the Evil Queen's magic mirror. I picture Apple as being totally wrapped up in her personal appearance, so of course she wouldn't want to wear glasses. Nice review. 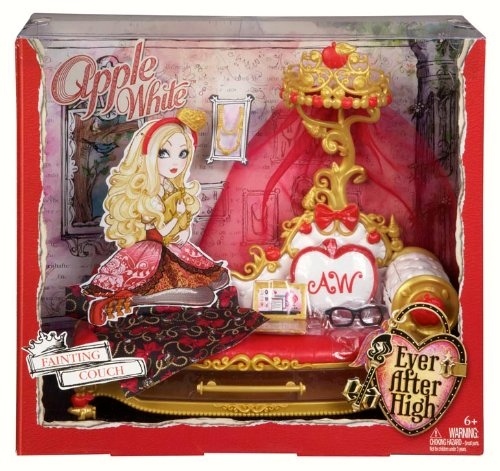 I think this is a well thought-out and designed playset/accessory; I particularly like how they incorporated all of the Snow White fairy tale elements into it, like the apples and dwarves. I agree that they should have made the pillow out of fabric rather than plastic (can you imagine how uncomfortable a hard plastic pillow would be to sleep on in real life? ), but, other than that, it looks like a great piece to add to an EAH collection. 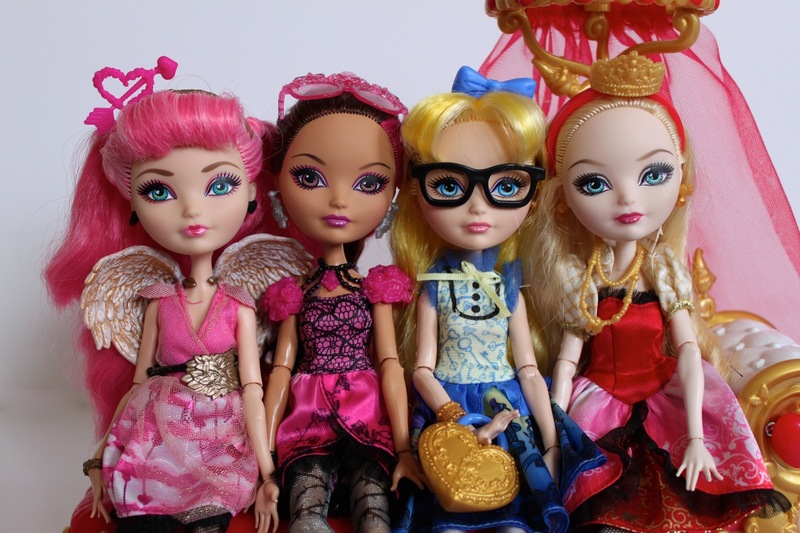 Oddly, I have yet to see a single EAH toy in the brick-and-mortar stores where I live (Michigan's Upper Peninsula); all we have in the way of 11-12" Mattel doll products are Monster High and Barbie. It's really cute, but I think it should be longer. It's just no fun to lay down if your feet dangle off the end. However, this looks like an awesome place to curl up and read a good book. I would call that a chaise longue. Why is it called a fainting couch? Does she faint often?